Rep. Andy Biggs is a John Bircher? Longtime residents of Arizona will remember billboards similar to this one below that dotted our highways back in the 1960s and 1970s. Arizona’s newest congressman, former state senate president Andy Biggs, is a wingnut and apparent John Bircher. Earlier this month, Rep. Michael Rogers (R-AL) filed legislation called The American Sovereignty Restoration Act of 2017 on behalf of himself and at least four six other GOP co-sponsors. The measure aims to repeal the United Nations Participation Act on 1945, which authorized U.S. membership in the intergovernmental organization. Additionally, the measure prohibits “diplomatic immunity for U.N. officers or employees.” Without immunity protection for diplomats, the organization would be forced to re-locate its headquarters outside of the United States. If the bill is passed by Congress, it would take effect two years after being signed into law by President Donald Trump. More should be done to investigate the power structure behind seventy-two years of United Nations authority. The same powers-that-be caused the Iron Curtain to be built after World War II and the following eleven years of similar misery in the then advanced (pre-WWII) country of Hungary, leading to a revolution in 1956. No country’s sovereignty should be threatened, except those where it is certain that human rights are severely abused with government or religious policies. For now the world is divided by per nation federal government policy (and the drive to control other nations) and the force by which specific religious beliefs strive to restrict human Free Will. Time to check where all the money is accumulated and what is being done with it–even here in the US. 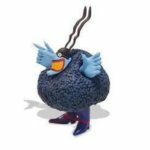 Thank God AzBlueMeanie wasn’t legal council on the 1950’s House Unamerican Activities Committee because had he been, everyone would have been accused of being a communist. Better yet, thank God AzBM wasn’t in Salem during the witch hunt times. They would have decimated the forest burning witches! You are, of course, wrong as always. Biggs is cosponsoring a bill that is the long-standing position of the John Birch Society. It is a fair question to ask. Biggs is free to respond and to explain himself. Your constant invectives are not a response. Okay, Andy Biggs agrees with the John Birch Society on one issue. How does that make him a “John Bircher”? I happen to agree with the democrats on a couple of issue but that sure as heck doesn’t make me a democrat. If he is, no surprise there. What is surprising is that he got elected to office again! Blame the voters that made it happen.